Whenever we think of the fall of the Roman Empire, we often imagine the once beautiful and vibrant city of Rome being overwhelmed by hordes and hordes of barbarians, mostly hailing from modern Germany, and indeed this did occur in 476 AD. 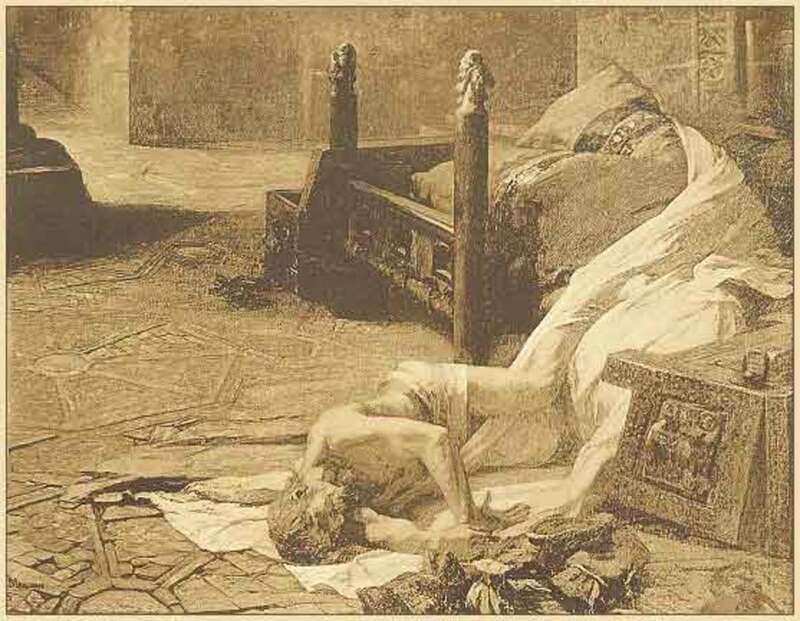 It wasn’t the first time that Rome had fallen to barbarians; half a century before the city had been sacked by a Germanic barbarian general called Alaric. But 476 AD marked the official end of the Rome that we’re all familiar with. The last Roman Emperor to rule from the eternal city, Romulus Augustus was driven out, and thus the Western Roman Empire fell into ruin. It seems sad, but in a way the fall of Rome was inevitable, as the Empire had continued to expand further from the capital, so it became harder to govern. Rome exasperated and accelerated its downfall by incorporating the very Germanic barbarians they had conquered into the Empire. 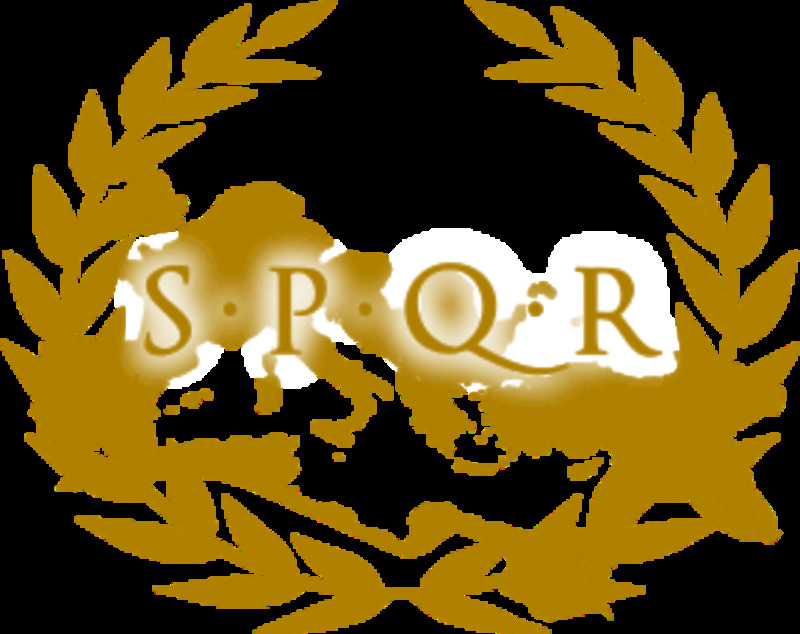 Initially they allowed the men to join the army, but later they decided to bestow Roman citizenship on all of the people. It’s important to note that for many, Rome existed as an idea, more specifically an idea of how to deal out justice and how to conduct oneself in everyday life. For the Germanic people though, this idea was irrelevant, and often their loyalty to Rome only stretched as far as their commanders and also money. Indeed, the majority had never seen the eternal city. 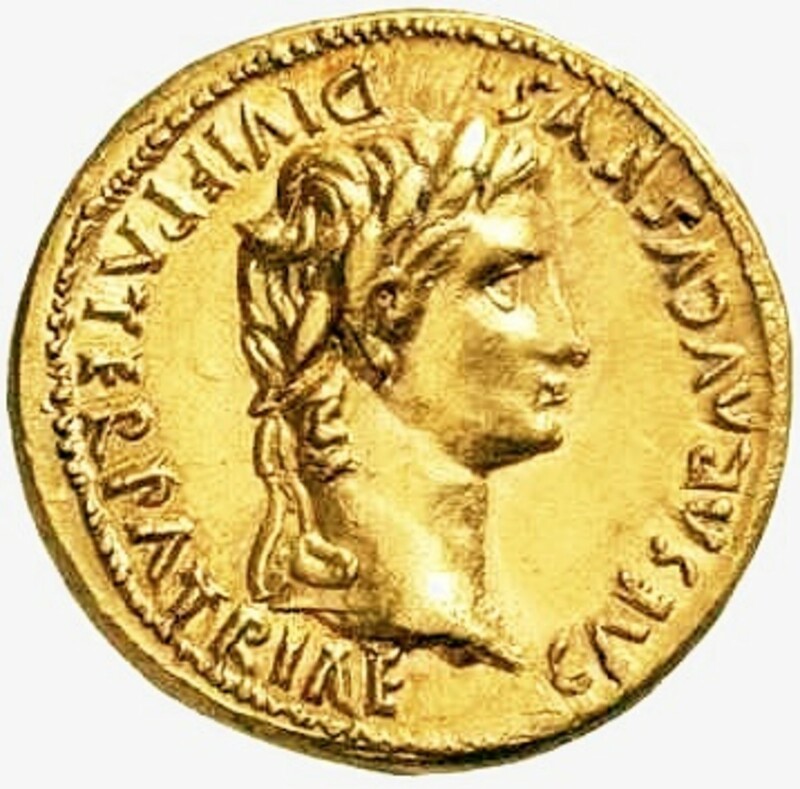 By the Third Century AD, many ‘Roman’ generals had become so powerful, that they held no qualms about proclaiming themselves Emperor. Indeed, Rome was ruled by more than 40 different ‘Emperors’ in just 100 years, many, as well as not being Roman, couldn’t even speak Latin. So while the west descended into chaos, another part of the Roman Empire prospered. 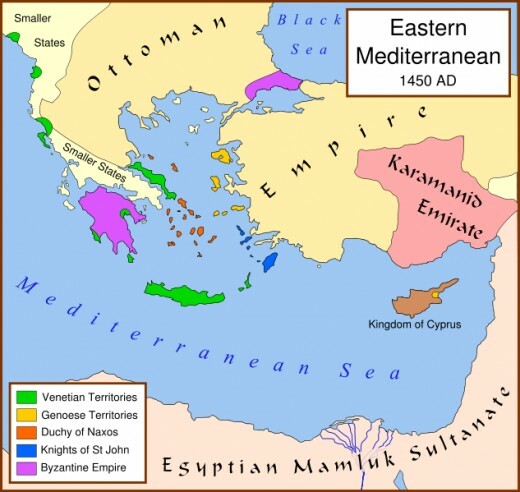 Historically, this eastern empire was known as the Byzantine Empire. However, the citizens collectively identified themselves as Romans. The most famous Byzantine Emperor was one Emperor Constantine, as well as being the first Roman Emperor to officially embrace Christianity; he also took the extraordinary step of moving the capital away from Rome and to an eastern city straddling the Bosporus River. 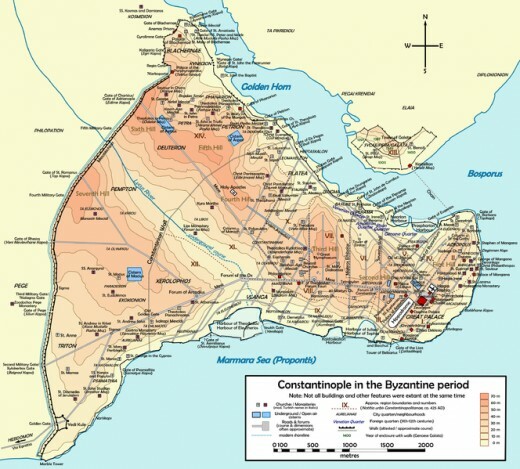 Originally known as Byzantium, Constantine changed the name to Constantinople in 324 AD, the same year he established it as capital of the Empire. The reasons why he did this were really quite simple; the west was descending into chaos, also he was born in Croatia, and probably spoke better Greek than Latin, and finally the eastern provinces were wealthier and significantly more prosperous than the decaying western ones. As a mark of this dramatic shift, the population of Constantinople soared, while Rome’s population dwindled from a healthy 500,000 to an alarming 80,000. As well as considering themselves Romans, the Byzantines continued to use Roman law. In 533 AD, Emperor Justinian codified all of the laws by publishing a huge chronicle known as ‘The Digest’; essentially it was a huge condensation of all of the exiting Latin law books. Justinian was undoubtedly the greatest of all of the Eastern Emperors; he even managed to reclaim Rome from the barbarians, although he wasn’t able to hold on to it for very long. For the next 1000 years, the Byzantine Empire served as a direct continuation of the Empire forged by the likes of Scipio, Marius and Caesar. By 1400 AD, even the Eastern Roman Empire was beginning to fall in decline, the glory days of Constantine and Justinian almost a millennium distant. Already, much of Asia Minor was in the hands of the ever expanding Ottoman Empire. Despite suffering a defeat at the hands of Tamerlane in 1402 at Ankara, it seemed that the fall of the Imperial city, a city home to more than a million people was inevitable. The victory at Ankara, probably served as nothing more than a stalling measure. In 1422 Sultan Murad II laid siege to Constantinople’s formidable defences, but was easily repelled. Murad was more of a gentlemanly scholar than a warlord, and after the defeat he elected to leave the Byzantines alone. In 1451, Murad died, leaving the rule of the Ottoman Empire in the hands of his aggressive and arrogant 19 year old son, Mehmed II who, for the next 30 years would make war upon both his Muslim and Christian neighbours. Mehmed set out to prove himself as one of the Ghazi (holy warriors) by conquering Constantinople, all of Asia Minor and the Balkans. The key to a successful siege of Constantinople was the ability to breach a seemingly impregnable 3.5 mile long Theodosian land wall, with its numerous moats and towers. The walls were made all the more robust by the fact that they were triple layered. Indeed, no foreign army had entered the great city in more than a thousand years. 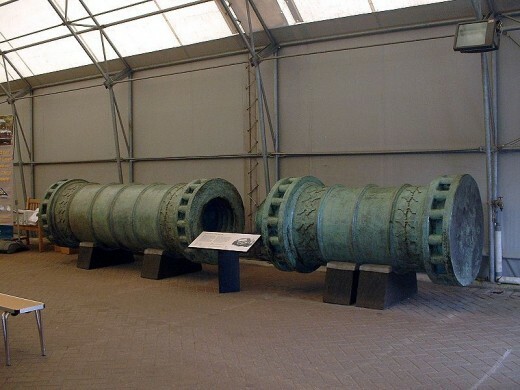 But Mehmed had an ace up his sleeve, in the form of a renegade Christian, Urban of Transylvania, who agreed to construct a monster gun, measuring nearly 30 feet in length, with a calibre of 8 inches that was capable of launching a one tonne cannonball at a target from more than a mile away. 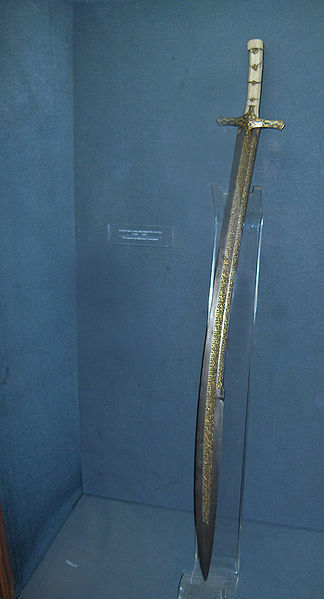 In January 1453, much to the delight of Mehmed, the gun was finished, and earned the seal of approval after a personal inspection from the Ottoman Sultan. The gun was so huge, that it required a crew of 700 men to fire and transport it. Unlike his more honourable father, Mehmed almost never honoured any treaties made with the Christians. He moved quickly to occupy Byzantine lands across the Bosporus, and also cut the city’s supplies of grain from Romania and southern Russia. In just five months, the Sultan had built a fort known as the Boghaz-Kesen or Throat Cutter on the Bosporus itself to prevent any supplies reaching Constantinople by ship. In November 1452, a Genoese vessel foolishly ignored the blockade and was sunk with a single shot from one of the massive cannons mounted inside the fort. Worse still, the captain, Antonio Rizzo was impaled while his men were put to death. Mehmed had warned the ‘infidels’ not to try his severely limited patience. The last direct link to the glory that was Rome was now at his utter mercy. 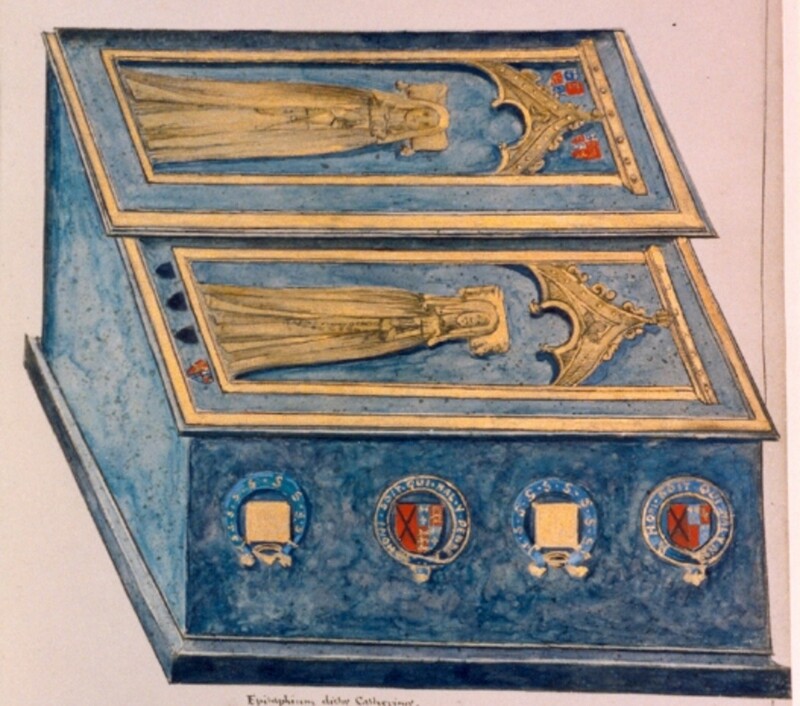 The final nails in Constantinople’s coffin came during the winter of 1452/53. Firstly, the Catholic West failed to come to the aid of their Orthodox neighbours against a common foe; although, it should be noted that the Pope did try in vain to try to drum up support for a crusade against the deadly Turks. However, the Crusade failed before it could even get started, on account of Genoa, who held the key fortified suburb of Pera, refusing to abandon its lucrative yet dubious neutrality. Only Venice, a sworn enemy of Genoa with its extensive and vulnerable Balkan colonies proved a willing ally to Constantinople. Within the city itself, the old mercenary attitude was laid aside, as Greeks, Slavs and Italians alike agreed to unite in the face of annihilation. The Emperor at the time was another Constantine, the fourth such to bear the name. He had only ascended to the throne four years earlier, but had already proven himself to be a great orator and an inspiring leader overall. He made the point to his people that they were all one and the same, and that they all faced a common peril. He pointed out that they should expect no mercy from Mehmed, and after the terrible deaths handed out to the Genoese crew, it might just provoke the West into aiding them after all. In reality, these words were really an attempt to comfort a clearly frightened population. The city possessed an effective fighting force of 10,000 men, which wasn’t too bad. But when you consider that Mehmed’s army was more than 10 times bigger, you can understand why many, even among the ordinary populace felt the situation to be hopeless. The hopelessness was exasperated by the creation of the first Ottoman galley fleet in their history; what was worse was that the fleet had been largely constructed by renegade Balkan Christians. Even their commanders, Kapudan Pasha and Suleyman Balthoghlu (both Bulgarians) were renegades. To the utmost consternation of the defenders, this renegade fleet entered the southern Marmara Sea in early March 1453. The consternation lay in the fact that the Muslims now threatened the Marmara Sea Wall, and thus the Emperor had to relinquish one of his garrisons and send it to the Wall. The first Ottoman troops, the vanguard, appeared beneath the Land Wall on the 1st April and at a signal from the Emperor himself, the gates were slammed shut, the wooden bridges across the moat were burnt and the walls manned. The last great city of the Roman Empire was now under siege and completely cut off from the rest of the world. Five days later, Mehmed arrived with the bulk of the army, and set up camp beneath the walls. The Byzantines were master fortifiers and had managed to reinforce the massive Land Wall, which had been relatively weak beforehand. Constantine crucially elected to leave the Sea Walls along the Marmara and Golden Horn relatively defenceless, which was understandable considering that intelligence reports informed them that Mehmed would concentrate his attacks on the Land Wall. On the 9th April, the Ottoman Fleet made a failed attempt to break through the boom that stretched across the Golden Horn from the Sea Wall to Pera, while the army dealt with two outlying forts, Therapia and Studius. Both managed to hold out for two days, before surrendering. 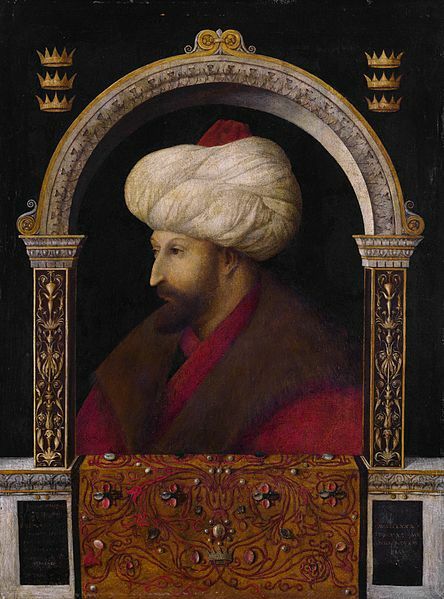 Mehmed lived up to his violent reputation by ordering that the defenders be impaled, as an express warning to Constantinople that the same gruesome fate awaited them. 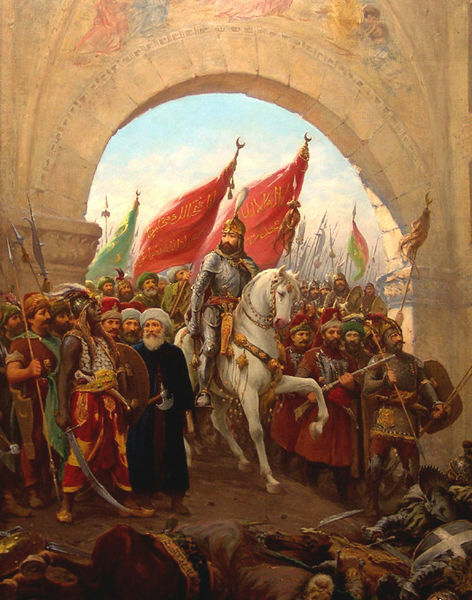 However, Mehmed’s viciousness only made the Christians more determined to fight to the death rather than surrender to such a bloodthirsty tyrant. A third fort on the island of Prikipo, saw the garrison bunr themselves alive rather than surrender to Mehmed. Three days later, the Ottoman artillery commenced an unrelenting bombardment of the Land Wall that went on for six weeks. Urban’s monster gun fired seven times a day, but the damage inflicted was easily repaired by the ever diligent defenders. By the 18th April, the wall across the Lycus valley- the Land Wall’s weakest point had crumbled, but the determined Byzantines led by Italian general Giustiani Longo, repaired it before it could be fully breached. 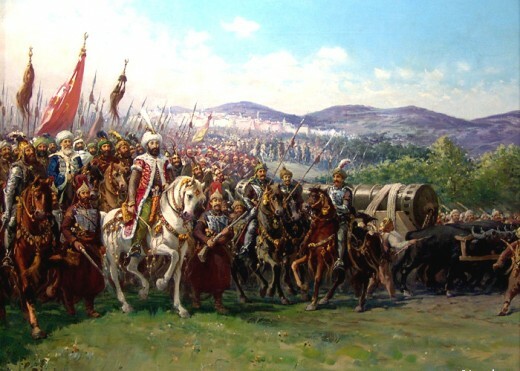 Mehmed, having earlier ordered his men to fill the moat unleashed his first assault, which proved to be a disaster. He lost 400 men, while the Christian Knights remained unscathed. This helped to serve as a reminder to the callous Sultan that claiming Constantinople for himself was not going to be a walkover. Along the defences and within the city, morale soared; there was still strength and honour in the Roman Empire. For almost 1,000 years that wall of Constantinople defended Western Christendom-only to be compromised by Crusaders and finally breached by Turkish cannons. History's first great artillery barrage, in 1453, allowed Mehmed to capture Constantinople when all previous Ottoman attempts had failed. Ironically, his cannon were created by a Hungarian named Orban who had once been employed to defend the city. Forty eight hours later, a small fleet of heavy and well armed Italian merchant vessels broke through the Ottoman Fleet’s blockade with little trouble using artillery. Their arrival bought tidings, but more importantly much needed grain, which helped morale surge ever higher. Mehmed, who witnessed everything first hand was so incensed that he fired Balthoghlu on the spot, reducing him to a common sailor. On the 7th, and then the 12th May the Turks made two failed night assaults against the Lycus section of the wall. Mehmed, now began to lose heart and his Grand Vizier, Halil Pasha urged him to abandon the siege altogether. In a fit of rage, Mehmed wheeled around and gave the old man a violent dressing down, telling him that he would have the ‘Apple of Rum’ (Constantinople) at whatever cost. At this time, one of the ways to weaken a city as large and imposing as Constantinople was through tunnelling underneath, and thanks to the expertise of the Serbians in his ranks, he began to dig a series of tunnels to undermine and blow up the Land Wall. As luck would have it though, the Byzantines were ably led in their counter mining efforts by a Scottish crusader knight, Sir John Grant, whose hard work was able to neutralise the Turkish efforts. Worse still, the defenders launched a surprise night attack on the 18th May, leaving the Turkish siege towers in flames. Five days later, they managed to capture the Serbian mining master who revealed the whereabouts and depths of the remaining tunnels. However, this upturn in Byzantine fortune was brief; a lone Venetian galleon arrived, bearing the grave news that the Pope had been unable to raise a relief army; Constantinople and the rest of the Byzantine Empire were totally alone. For two days, across the 23rd and 24th May, Constantinople was subjected to a series of natural phenomena that severely undermined morale within the city. The people already seemed to realise that the city was doomed, but he West's failure to provide support reinforced the sense of melancholy. There was also an ancient prophecy that stated that Constantinople would fall under the rule of an Emperor called Constantine. During a procession to take out the Holy Icon of the Mother God, the icon was carelessly dropped, resulting in a rolling of wave of gasps from the crows out of sheer disbelief. Next, the city was subjected to a flash flood, and then the following day, the city was enveloped in a thick, balmy quite unseasonal fog. The Byzantines were in utter shock and many saw it as a sign of God abandoning them, punishing them for allying themselves with the schematic Catholics from the West. Morale among the Muslims was little better and once again Halil Pasha forced Mehmed to agree to one final, massive, all out assault at the end of the month. If that failed, then the Sultan agreed he would lift the siege once and for all. By the late evening of the 28th May Mehmed and his generals had completed all of the necessary preparations, while the defenders braced themselves for the violence to come. That very same evening, an ecumenical Mass was held in the iconic Hagia Sophia, which was attended by Constantine, and by Catholics and Orthodox Christians alike. Shortly after 1:30 am on the 29th May some 20,000 irregulars (bashi-bazouks) screamed wildly as they rushed at the Land Wall at top speed. But after two hours of bloody fighting, most of the screaming Turks lay dead in heaps on the ground. The Anatolian army regulars also failed with their assault against the Sea Wall. Then, probably through treason or negligence on the defenders part, some of the surviving irregulars found that the small Kerkaporta gate between the Blachernae Palace section of the wall and the main Theodosian Wall had been left slightly ajar. All of a sudden, masses of Turks were piling through the gate, making their way between the two walls, as a result, few of the defenders were able to stem the tide. During the fighting on the main outer wall, Longo was mortally wounded and instead of remaining in the battle, he chose to be evacuated to the port, which heralded disastrous results. The Genoese, who had fought until that moment with outstanding determination and bravery, saw their commander leave on a stretcher and they panicked, following their stricken leader to the port. The Emperor’s desperate pleas for Longo to stay fell on deaf ears, and the Venetians howled in protest at the perceived Genoese betrayal. The Turks had by this time been able to open the main gate and poured through in droves, where small groups of defenders, including the armour clad Constantine were cut down mercilessly where they stood. The Catalans fought with a certain grim fatalism, probably due to their confidence that fighting the Infidel assured them a speedy passage to Heaven. The assault ended in victory for Mehmed and the Turks; roughly 4000 defenders lay dead, and most of the population was enslaved (or so the claim goes). Churches, monasteries and houses were either burnt to the ground or defiled. Mehmed immediately set about converting the Hagia Sophia into a grand mosque, which still stands today. The fall of Constantinople signalled the end of the Byzantine Empire, and thus the true end of a Roman Empire that had originally started as a dream of Julius Caesar, made real by Augustus and his descendents. While the Western Empire had crumbled into ruin, in 476 AD, the Eastern Empire remained strong and prosperous for an additional 1000 years. But now, the fall of the great city established the Ottoman Empire as a major threat to Europe that would last until their failed siege of Vienna in 1683. After which, they began to decline slowly themselves, culminating in their total disintegration in 1923. The modern nation of Turkey was born out of the ashes of the Ottoman Empire, and the grand city of Constantinople is now known as Istanbul. Your write up is good in parts but falls prey to stereotypical prejudices against the Turks. I am going to use your narrative as a part of biased narrative in my classroom. My students have already taken up the exploitative Byzantine taxation system and discrimination against certain Christian sects many of which had to exit underground to escape death....why the Balkan nationals supported the Turks is as clear as daylight...because they got the respect which Byzantines weren't giving them....why the Ottomons could sustain their rule...because of a just and secular social order...anyway interesting narrative. Wow! You really know your history. Maybe you should consider joining Hubpages- might be a good way of getting yourself known on the internet. Yes, that's a good point ata. I've always said that all western nations are basically children of the Roman Empire. Thanks for stopping by. Constantinople was the last great Roman city, but the idea of Rome did not die with the Romans. Many of the Germanic kings had become Romanized throughout the great migrations and Roman ideals lived on through medieval Europe. As I see it medieval Europe was a combination of Roman law, Christian morals, and Germanic society. Great article, voted up and shared. Thank you Apollonas, really glad you liked it. Appreciate you stopping by. I agree with your point. Thank you very much Thomas, I really appreciate your kind words. Wonderful article you have here! Outstanding research and excellent presentation! Thanks very much John, really, really appreciated. I'd love to be able hear that lecture; wonder if its on the net anywhere? Hi James, what a great article this is. I was listening to a lecture on TV the other day given by the Cato Institute and they explained much of what you wrote about, but you did a way better job at it than the professor of Political Science which gave the lecture. Sir there's something wrong in your article,first of all we turks converted aya sofia to a big mosque because of tradition and at the same time built a new CHURCH for the local christians to pray in it. We didn't kill any innocent locals or ladies or priests. This is a big lie,you must come to Turkiye or go to vatican and see the churches those we built for christians. If we had done this sin how could all our christian locals remained in 400 years living their religions? (Greeks,searbs,bulgars,latins,russians,romans,germans,hungarians,polishes,and many others. Whatever when you captured the jerussalem your guys killed almost every single locals and had written to their letters that all the street were full of blood of innocent locals even local christian were killed by your guys. Very useful article. Thankfully there are people globally who know and care about real history. And help the others learn some of it. Constantinople...if the gates hadn't be opened the world (Europe) would be much different than we know it. It's really hard to read an article or watch a documentary for the "failure of Constantinople" but it's the facts. We have to know. James, wow, what a detailed and informative article you've put together here. I believe you've covered all that there ever was to say about the Roman Empire. 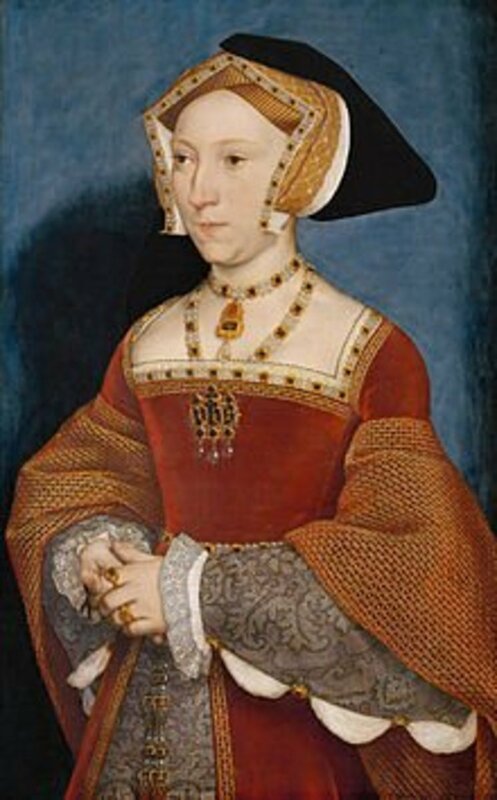 Very educational and eyecatching with the addition of your great pictures. Thanks and take care. Thanks Harald, yes it is amazing to think that the Ottoman Empire lasted right up until the end of the Great War, and how interconnected it all is. Thanks for popping by. Very nice, readable article JKenny. Funny how history is all interconnected. Much later the Ottoman Empire, by beginning to disintegrate, set the stage for the chaos in southeastern Europe which was the powderkeg for World War I... which begat World War II... which led to the Cold War... and now. Voted up, etc. Thank you christopher, when I discovered this piece of info on the internet. I couldn't help but feel sad that the once great Roman Empire had been reduced to a mere city state, albeit a mighty city state. Thanks for your visit, always appreciated. That was a powerful article James. You captured the drama and tragedy of that great historic episode perfectly. Thank you Ian. You're right. Really Constantine was Croatian rather than Italian/Roman. I must admit I was amazed when I discovered this little bit of history on the internet. I love the fact that the Roman Empire survived right up to the end of the Middle Ages. I just had to write about it. Thanks for popping by, appreciate it. Wonderful title - really draws you in! And a well-written informative readable article. Probably one of the reasons Constantine moved east was because he was 'going home' in a sense. Thanks Jools, its amazing just how different Mehmed was from his father. Its tempting to imagine what may have happened if Murad hadn't have died when he did. Perhaps Constantinople would still exist as a Christian city? James, what an amazing article, lots of info and the maps were really useful in giving a sense of the geographical impact. It's amazing to think that Mehmet fought his wars in much the same way as wars into the mid-20th century, in terms of cutting off supply and isolating his enemy, sounds like a ruthless man.